Who likes Latte? Me! 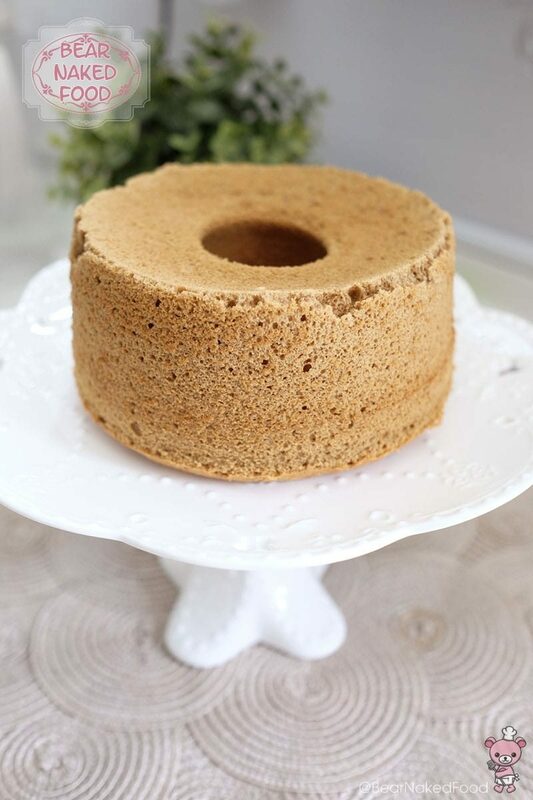 Who likes Chiffon cake? Me! 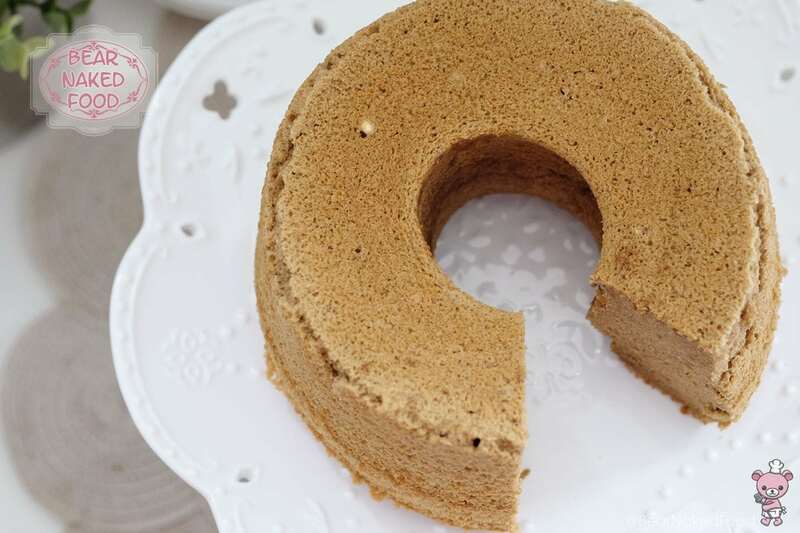 This subtle coffee flavored chiffon cake is made for all coffee lovers out there. 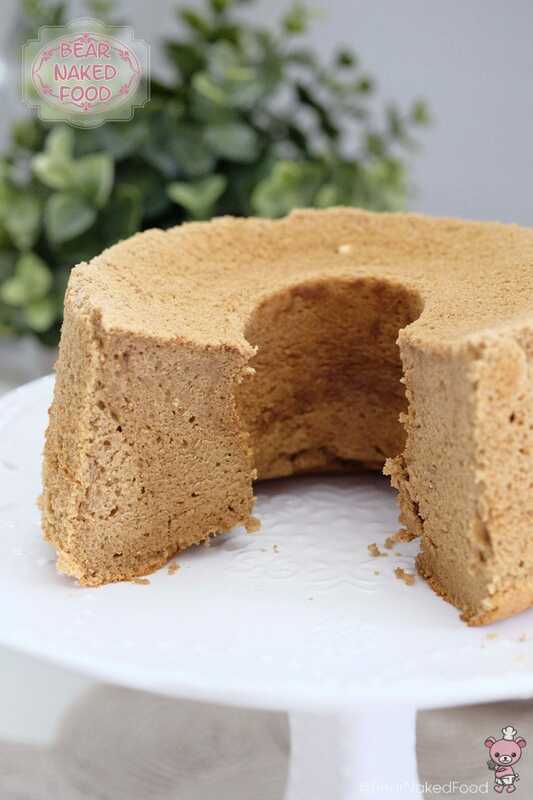 This fluffy and moist sponge cake goes so well with what else, but a warm cuppa latte. 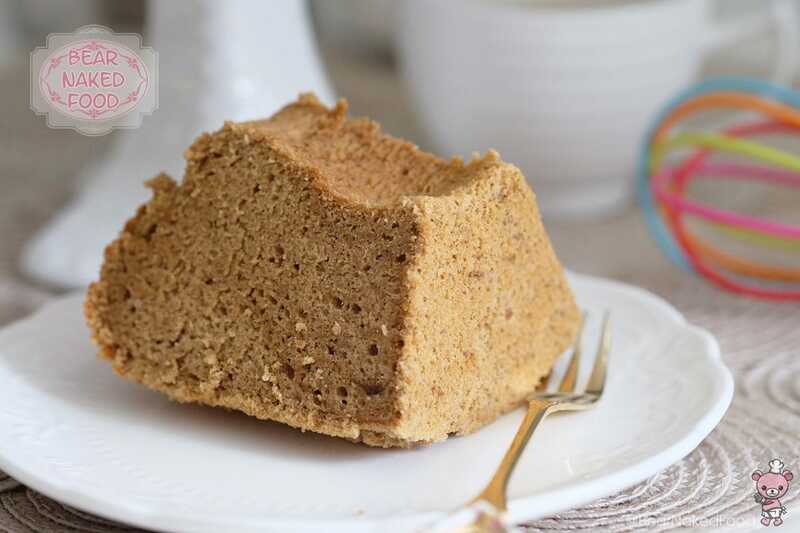 If you are caffeine intolerant, using decaffeinated coffee would be most ideal. 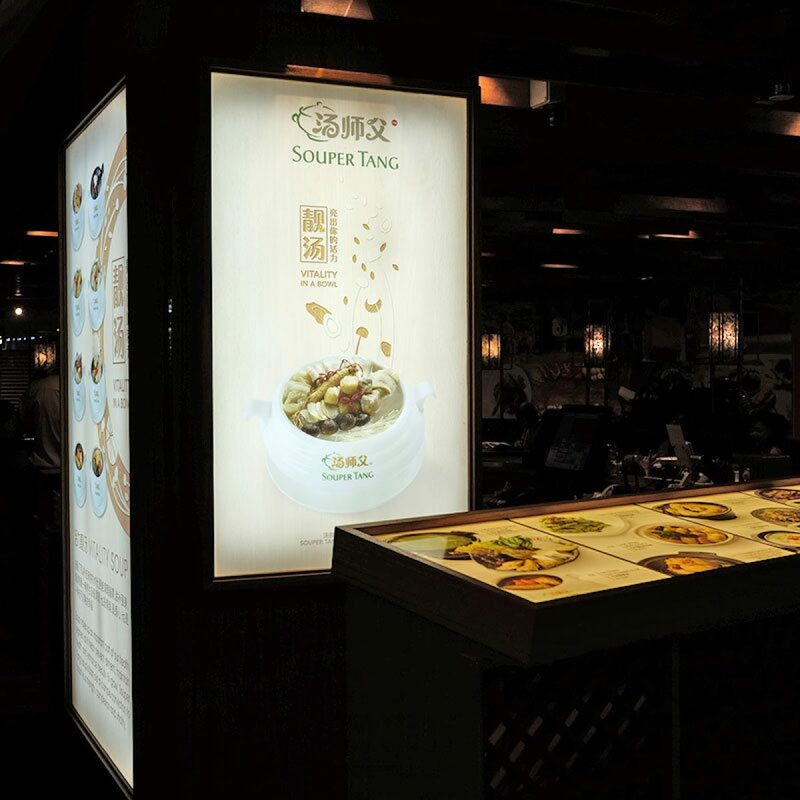 In this day and age, health-conscious people and would avoid overly sweetened desserts and cakes. Like me. 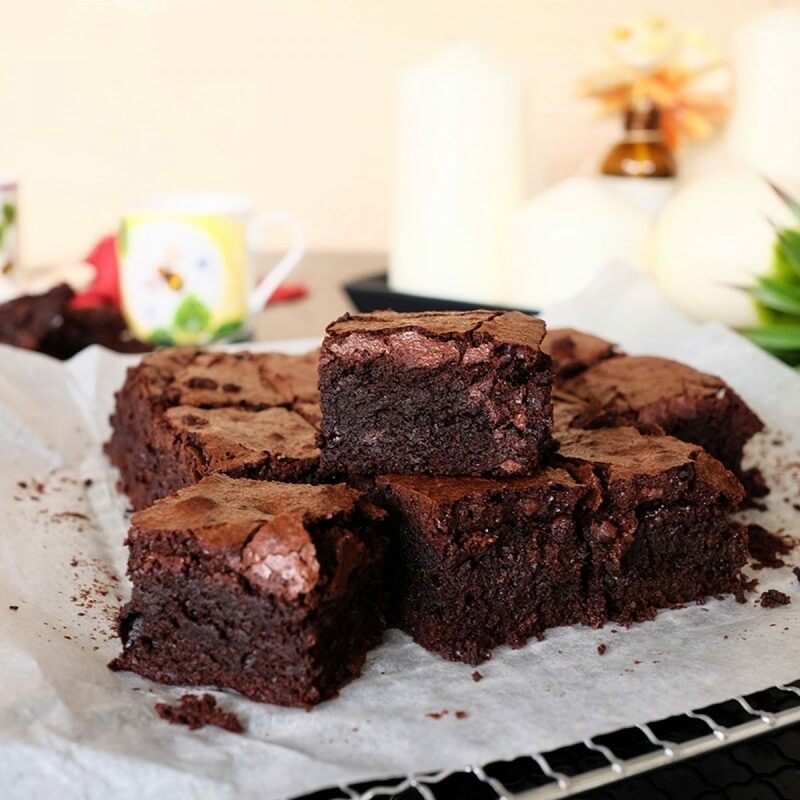 The level of sweetness errs towards the milder side so if you have a sweet tooth, you might need to adjust with more sugar. 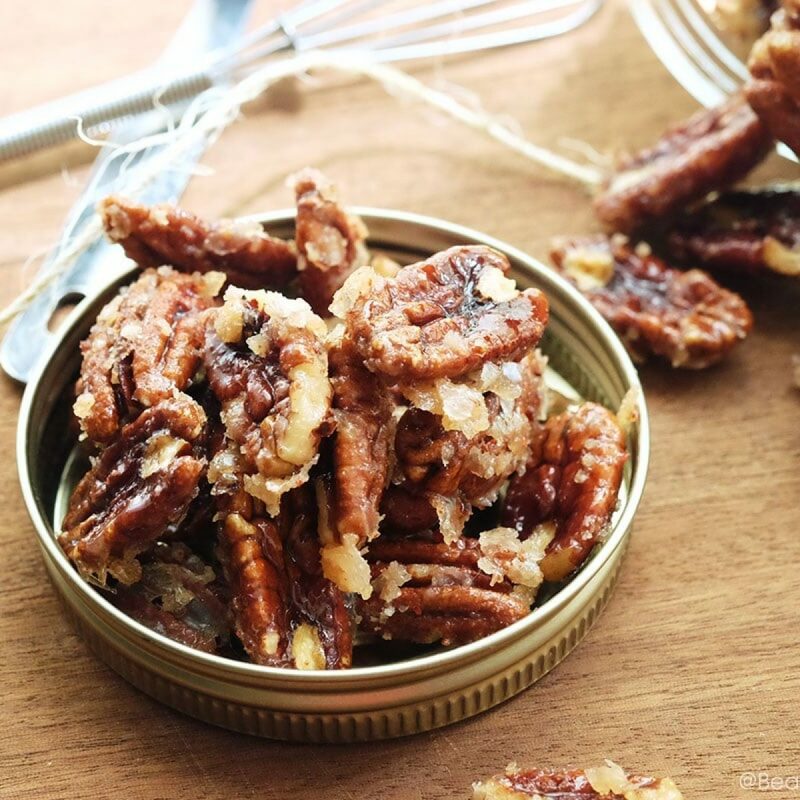 This recipe is adapted from one my favorite Japanese pâtissier, Chef Yamashita’s third cookbook – “Tanoshii ke-ki”. 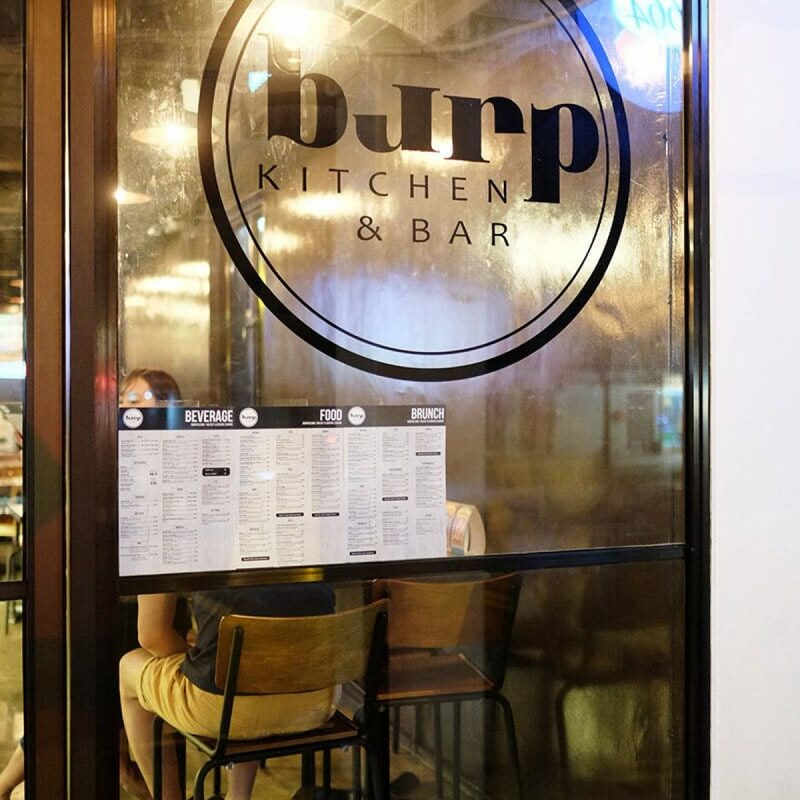 You can find his very own Japanese artisan pâtisserie here in Singapore. Preheat oven to 170°C. 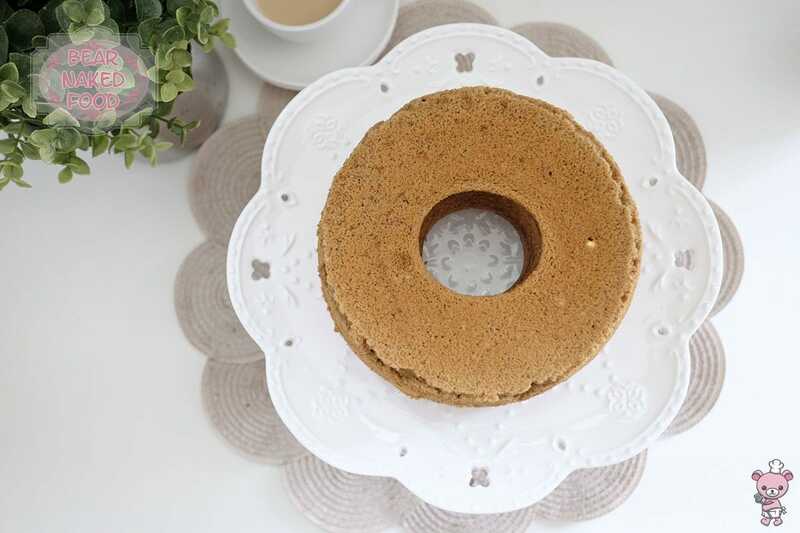 Prepare a 17-cm chiffon cake tin and set aside. 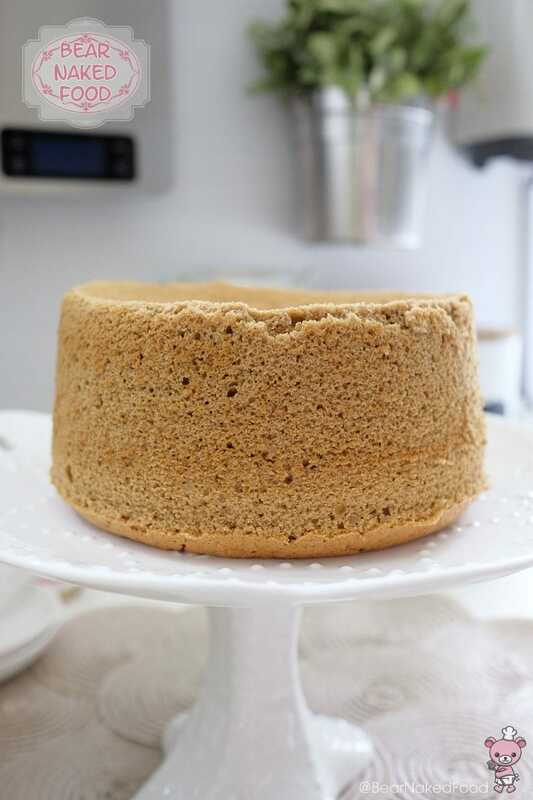 Sift baking powder with cake flour and set aside. 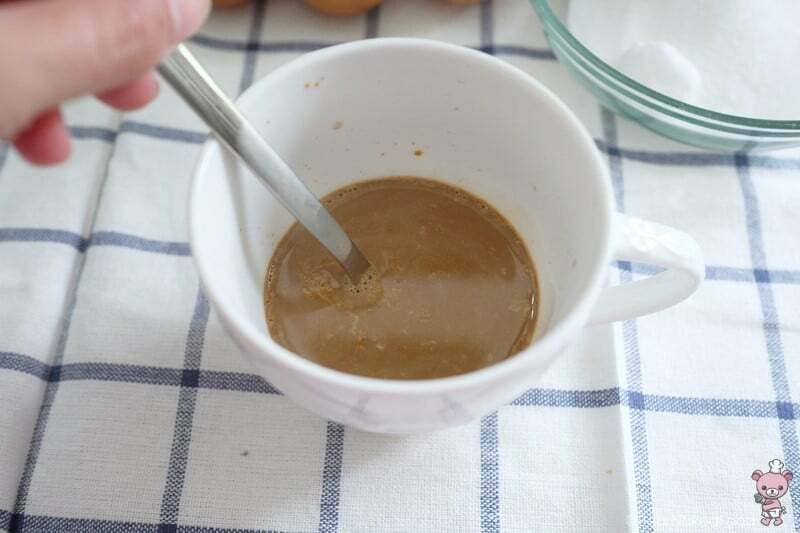 Add hot water and warm milk to instant coffee granules and stir well. Set aside. 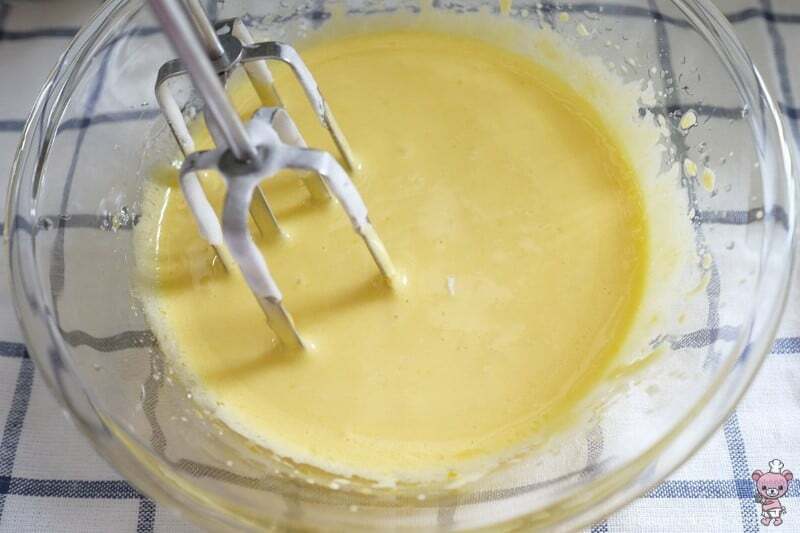 In a large bowl, add the egg yolks and sugar and beat with an electric hand mixer until pale and thick. 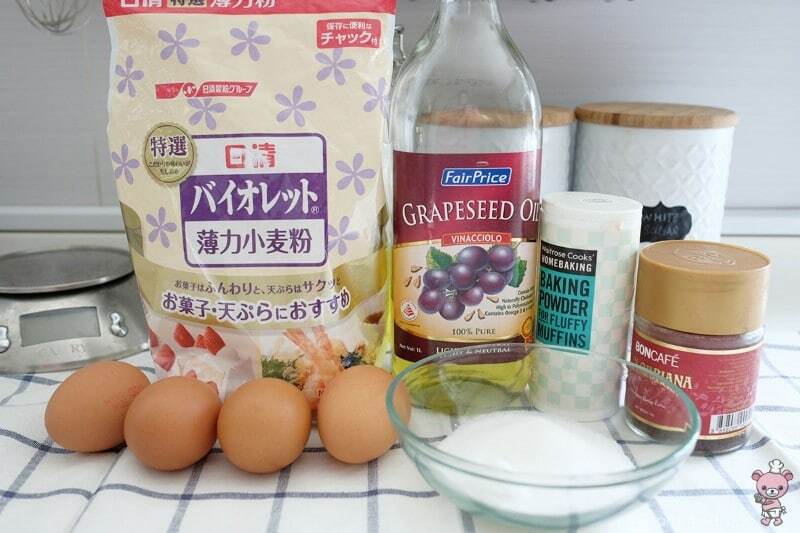 Gradually add in grapeseed oil and whisk until mixture is smooth. 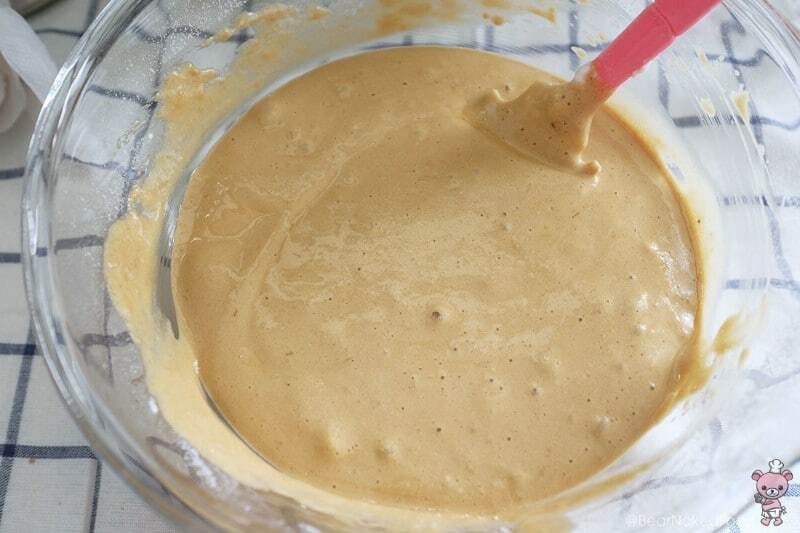 Lastly add in coffee milk and mix well without turning on the mixer. 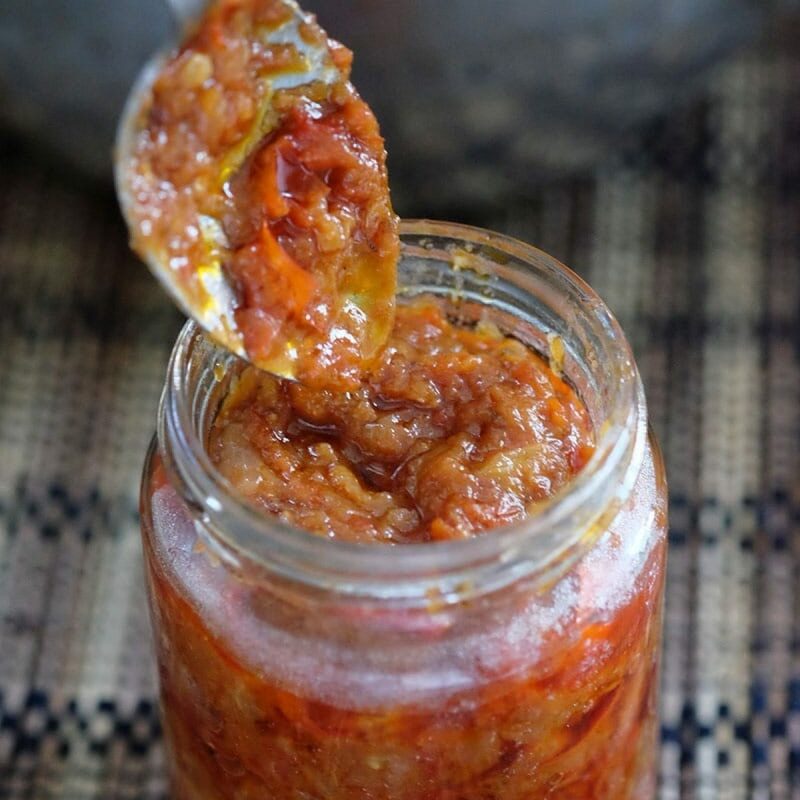 This will prevent the mixture from splashing everywhere. 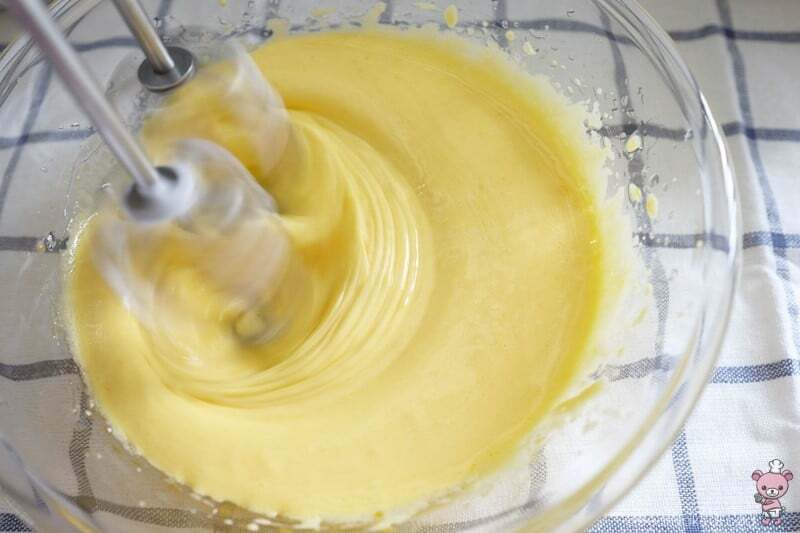 Wash and dry the whisk of the electric mixer. 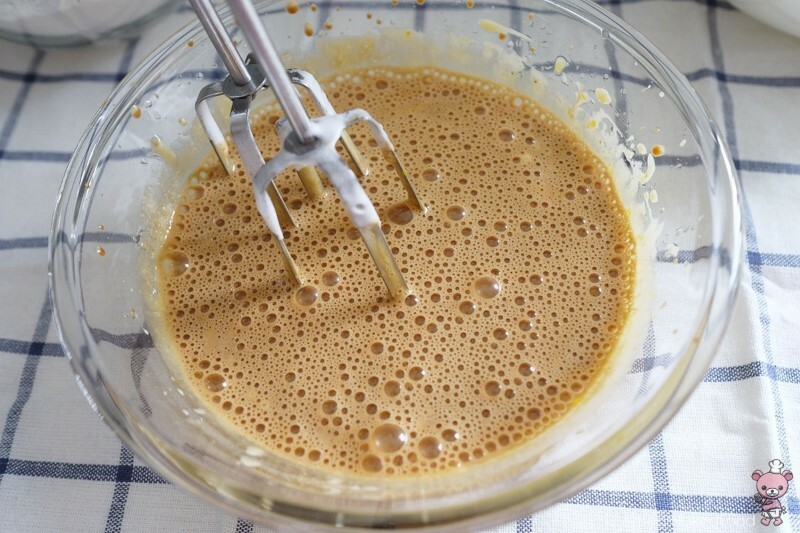 In a clean dry bowl, add in the egg white, pinch of salt and whisk until foamy. 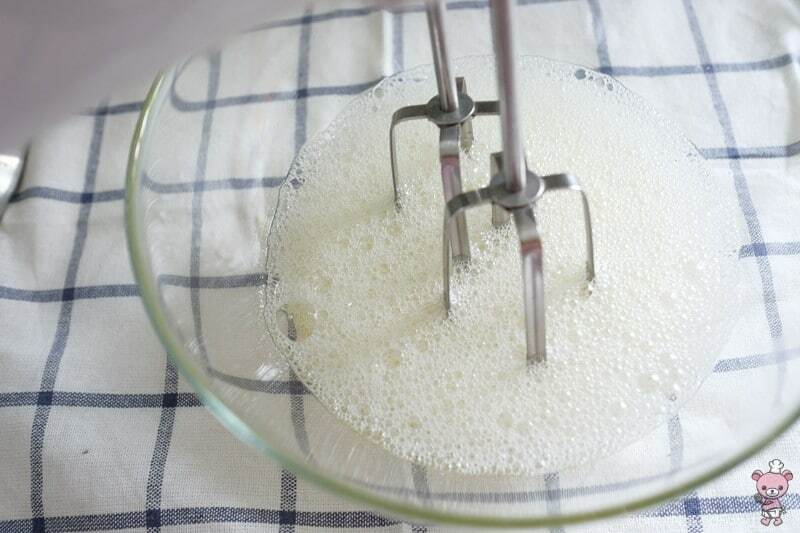 Gradually add in the sugar and whisk until stiff peaks just formed. It should take about 5 mins. 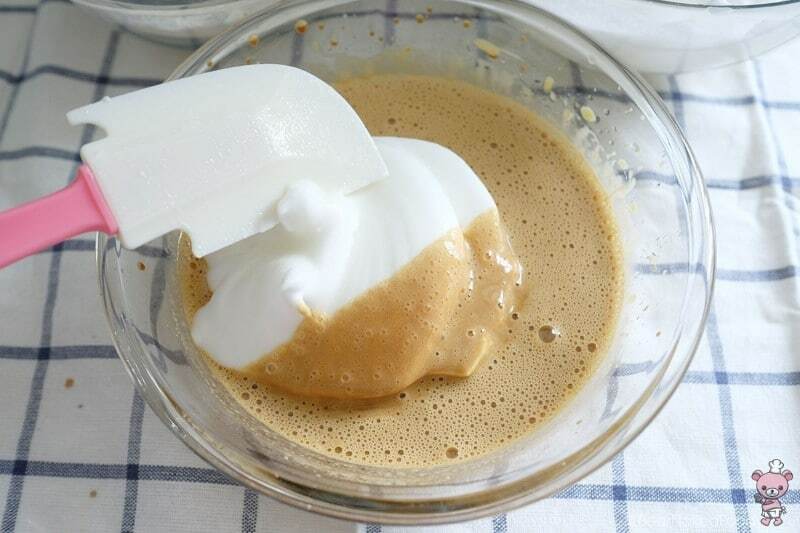 Spoon one-third of the meringue into the egg yolk batter and gently mix with a spatula. 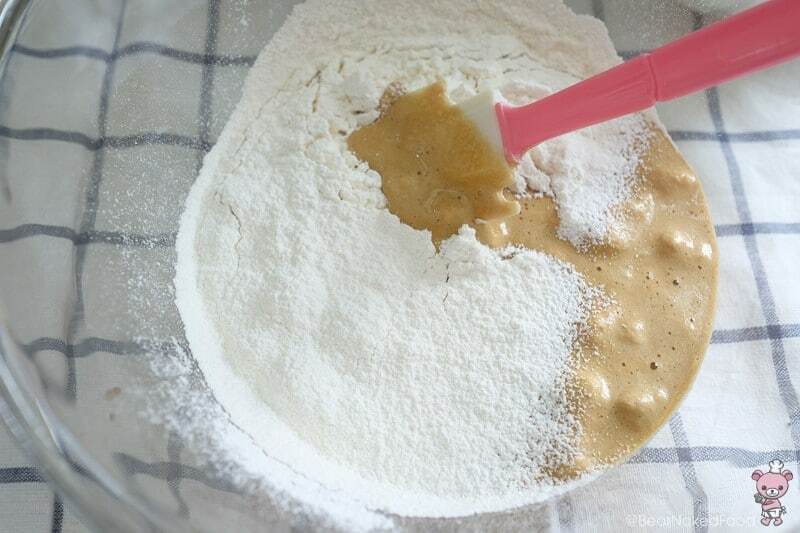 Fold the flour mixture into the batter until flour just disappear. 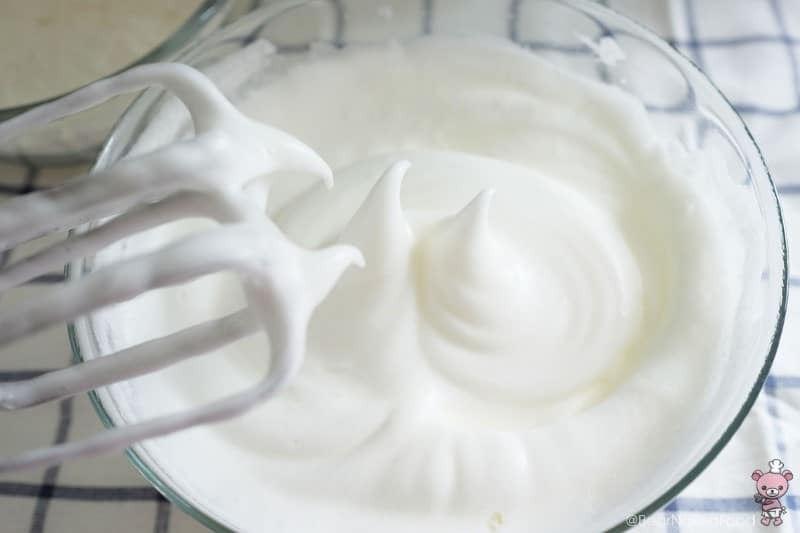 Fold in the rest of the meringue and tap the bowl gently to release big air bubbles. 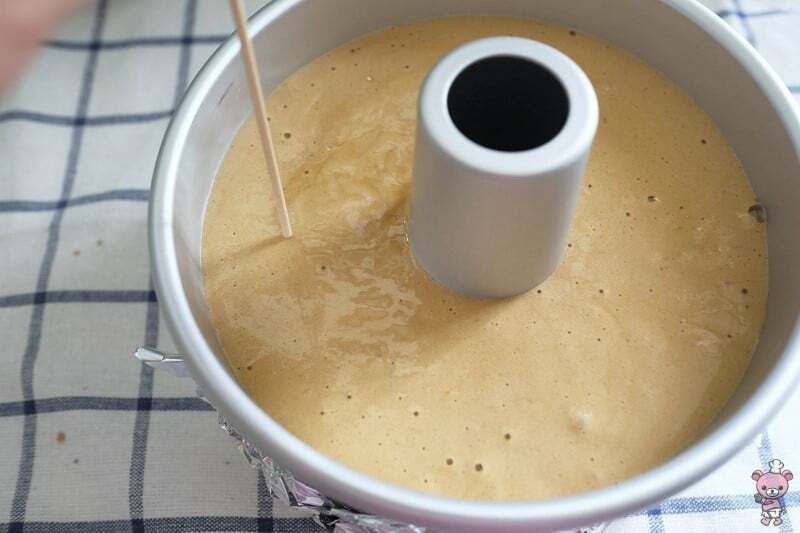 Pour batter into chiffon tin and use a skewer to run round batter a few times to release large air bubbles. I like to run a skewer around the batter to release large air bubbles. 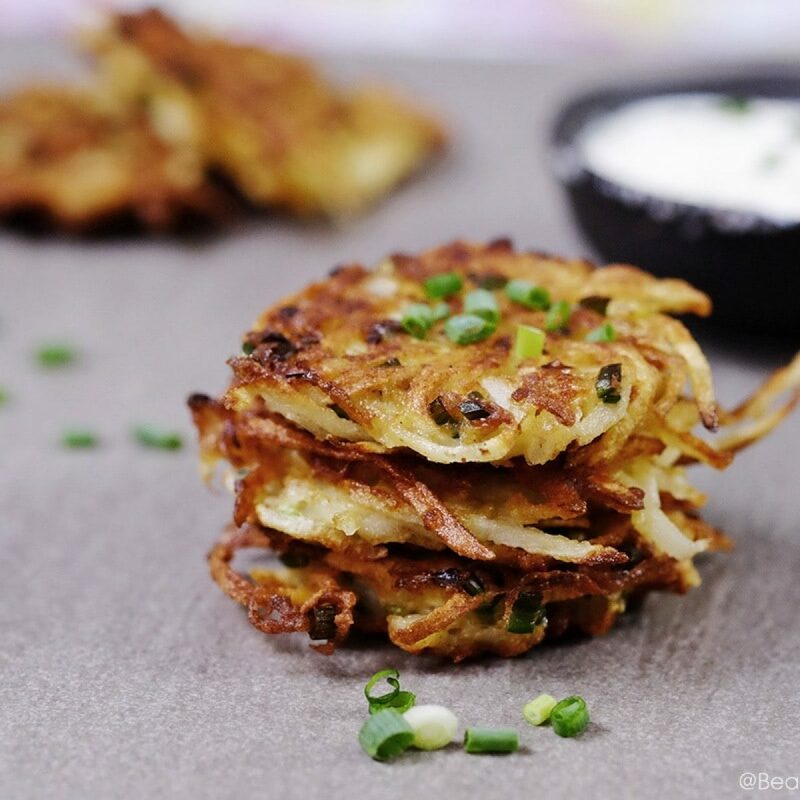 Place into preheated oven and bake for 35 – 40 mins, until a skewer inserted comes out clean. 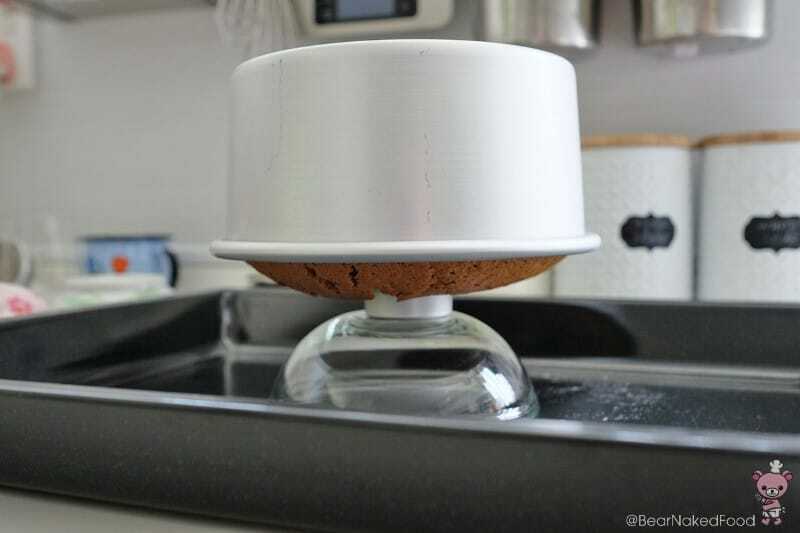 Invert the cake tin so that the funnel sits on a wire rack or base of a bowl. In Chef Yamashita’s book, he inverted it directly onto a wire rack. without propping it on a bowl. 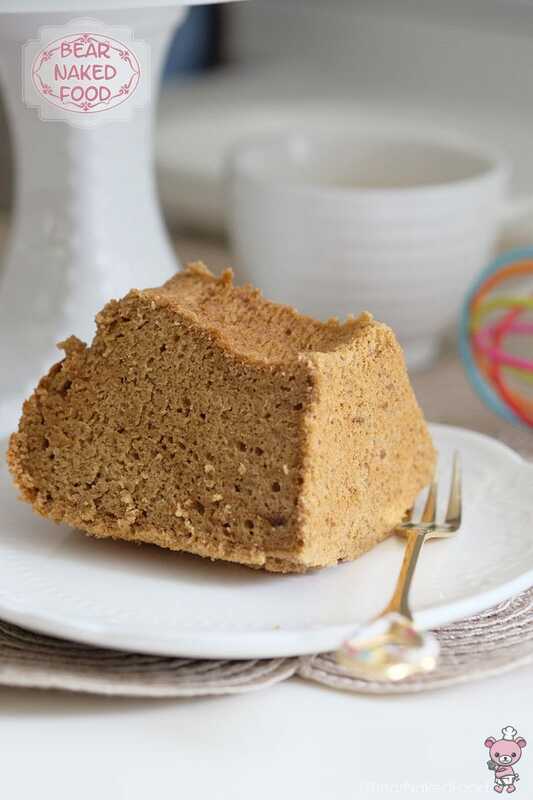 Allow to cool completely before running a thin knife around the edges to release the cake.